We appreciate each and every opportunity to service our community with tree services. Safety is number one. Safety for us and for your home and property. 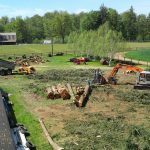 We also provide stump grinding, clearing and timber marketing, crane services, storm clean up and chipping, as well as landscaping services, such as hedging, winter fruit tree pruning, and shaping of ornamentals. 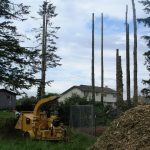 The quality of a tree removal service company in Bellingham WA and Whatcom County can be measured by referrals and call backs. We are always getting new customers but are thankful for all the business we do for past customers and their friends. 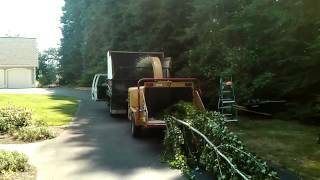 Going on 13 years in business is a testimony of the quality of tree service we provide. 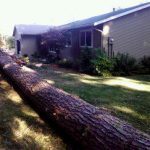 We have purposely kept are overhead low to be able to provide tree service removal at aggressive price points. Ascending Tree Service spends little, on average, for advertising, yet we get estimate calls everyday. We build relationships and those relationships provide for an ever growing business. We routinely remove very large trees next to homes. 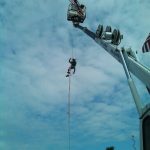 It takes experience, equipment, and courage to do this kind of work, and do it at a reasonable price. Because of our years of experience, we can dismantle large trees with precision and speed. Resulting in a safe and cost effective job for your property. 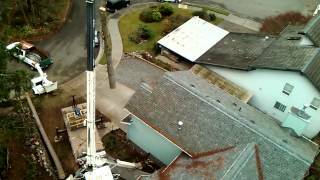 Having a 60′ boom truck is a huge advantage when your large deciduous tree has branches 30′ over your house. Very efficient and much faster than climbing and rigging everything down. Also safer! 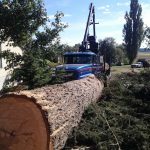 Whether you have one tree or 100, Ascending Tree Service will evaluate the timber value of your project for free. 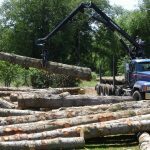 Many times, the value of the timber will pay for the tree service. You might get your job done for free. 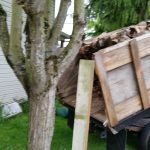 We offer complete tree removal services. This includes stump grinding. Call and ask us about stump grinding options and pricing. 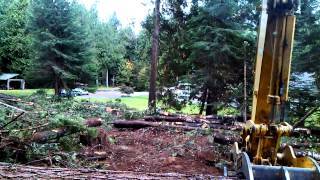 We partner with the best site prep companies in Whatcom County. 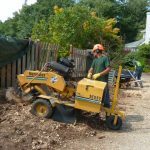 If you’re timber removed, roads put in, and site prep work done for a new home, we can provide an estimate. Clean up is a big part of the cost of doing tree service work. We’re providing thorough complete clean up. Making sure you get your dollars worth. One of the unique tree services we provide is planting rows of hedging. Professional, beautiful look when we are finished trimming your hedges, or planting a border for your property. We sell cords of firewood. Split, stacked and seasoned for approximately one year. It’s all hardwood. No poplar, cottonwood, or pine. We also give wood away. Get on our free firewood list, and we’ll let you know when we are in your area and have wood to give away. If you would like free woodchips, please get on our list. 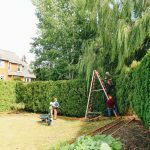 We recommend that you call all the tree services in Whatcom County and get on their list as well.